The Dead Sea Scrolls are some of the most famous Christian documents in the world and they are the oldest known biblical manuscripts in existence. The scrolls have a storied history that saw them stashed away inside a series of caves on the shores of the Dead Sea to protect them for the Roman armies that were invading the Holy Land in 68 BCE. The scrolls were lost until 1947 when a shepherd tossed a rock into the cave and discovered the scrolls. The scrolls have been on exhibit since 1965 at the Shrine of the Book at The Israel museum in Jerusalem. 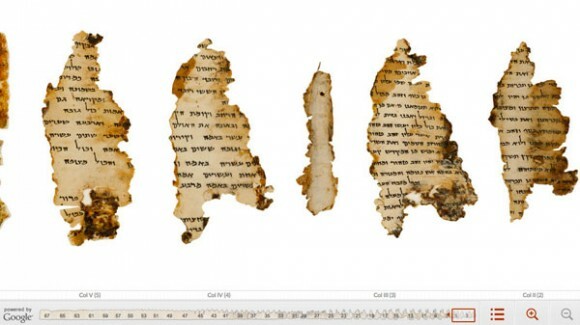 Google has announced that it has now made the Dead Sea Scrolls available online and has digitized all of the content in the scrolls and made that content searchable online. The images of the scroll are high resolution at up to 1200MP to allow the user to see everything about the scrolls. Google says that you can zoom in on the Temple Scroll and see what the animal skin that the text is written on looks like. 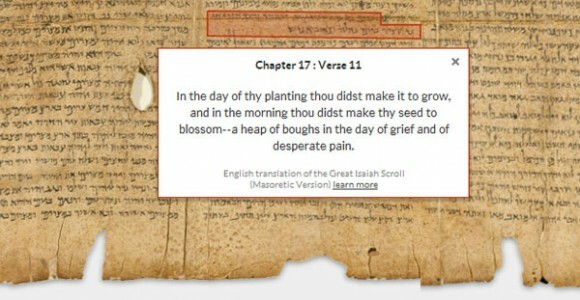 The Great Isaiah Scroll can be read chapter and verse. The Hebrew text is also translated into English when clicked. The scrolls went online via a partnership between Google and The Israel Museum, Jerusalem.